When They Are In Government, They Kill Everything About Nigeria And When They Leave Office, They Are Full Of Ideas On How To Run Nigeria! Ex-British Foreign Secretary, Straw, Says Strong Opposition Good for Nigeria. 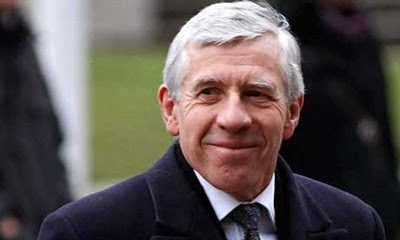 Former British Foreign Secretary, Mr. Jack Straw, has said a strong opposition party would boost Nigeria’s democracy and welcomed the formation of the All Progressives Congress (APC). He also called on the Independent National Electoral Commission (INEC) to ensure that the 2015 elections meet the aspirations of Nigerians. The call came as former Prime Minister of Ireland, Mr. John Bruton, urged the federal government to encourage Nigerian professionals in the Diaspora to return and contribute to the development of the country. Straw and Bruton spoke in Port Harcourt yesterday at a one-day international conference on democracy and good governance organised by the Rivers State Government at the Banquet Hall of Government House, Port Harcourt. In his lecture titled: ‘Democracy, Nationhood and Citizenship Rights, Freedom and Responsibilities in a Global Order,’ Straw listed a strong opposition party and a credible and transparent electoral process as some of the ingredients of democracy. He said the efforts of the APC to provide the Nigerian electorate with a viable opposition was good for Nigeria’s democracy and would further enrich the governance of the country. Straw noted that Nigeria was still a young democracy saying the ingredients of democracy were universal, as he added that the country still has a long way to go in the conduct of elections despite the considerably advancement recorded in 2011 in terms of standards than the ones before. He said there were already apprehensions in the country about the 2015 elections and called on INEC to take necessary steps to ensure that the polls would mark further improvements in the electoral process. He said, “The last election in Nigeria in 2011 was considerably advanced in terms of standards than the ones before. To that the INEC and its chairman, Prof Atahiru Jega, deserve credit. The National Democratic Institute for instance noted in a recent report that Nigeria’s 2011 general election, since the return of civil rule in 1999, was significantly more transparent and credible than the three preceding polls in 1999, 2003 and 2007. “These polls represented a key milestone in the country’s democratic development. But these positive judgments about your (Nigeria’s) 2011 elections are relative only in comparism with those preceding it. He also said: “Strengthening the power and influence of the independence monitors of an election is a sine qua non to free elections.” The former British foreign secretary also expressed dissatisfaction with the growth of Nigeria since independence, noting that the income inequality in Nigeria was one of the highest in the world. He also condemned the level of corruption in the country and lamented that Nigeria ranked 144 out of 177 countries in the corruption index. He advocated that corrupt people should be tried and if found guilty jailed. In his own lecture titled; The Dynamics of Contention within The Realities of State Building: Debating Their Essence and Limitations, former Prime Minister of Ireland, Mr. John Bruton, urged the Federal Government to encourage Nigerians overseas to return and bring in foreign direct investment to help fund infrastructural development in the country. He said, “If Nigeria can find a way to attract all those talents back into the country and to encourage them to bring foreign direct investment (FDI) back with them, I think Nigerians will have a much more prosperous country than you have today. “But the very thing that attracts FDI is not what makes democracy strong: the stronger you make your democracy, the more FDI you will attract. “I am quite aware from reading about this country that there is substantially need for FDI in your electricity distribution network, in your roads, in all other infrastructure. You will not be able to produce all the money and all the expertise you need to bring those up to date on your own in this country. You need foreign resources and to convince these countries to invest in the improvement of light and infrastructure in this country. And to do that you must also bring institutions that make democracy work. He listed the foundation of good governance to include the Rule of Law, fair elections, strong and disciplined political parties, politicians who are close to their electors, good economic conditions and strong stance against corruption. In his remarks, Rivers State Governor, Rt. Hon. Chibuike Amaechi, noted that corruption was endemic in Nigeria and lamented that institutions in the country had failed in the fight against corruption and called for citizens’ action to check the action of leaders. He also said it was sad that even student leaders had abandoned the quest for good governance and chosen the path of corruption. 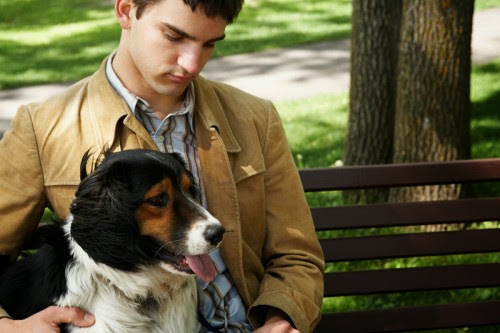 “The country is helpless and a bit hopeless. That is why I talk about citizens’ action,” Amaechi said. Amaechi also expressed disappointment that the people of the South-south had stopped their campaign for resource control, stating that the region might not have the opportunity to press for their rights again. His words: “In 2005/2006, the mantra was resource control. Where are we now? Are we controlling our resources, is oil in our hands? If tomorrow President Goodluck Jonathan leaves office, who will we say is controlling the resources? Why are we not talking now or is it because it is our turn to chop? “Now the nation has given us the power; have we changed the constitution to make us control our resources? So, why haven’t we? That is the question. We need to address these issues; we need to address the issue of resource control we have been talking about before.